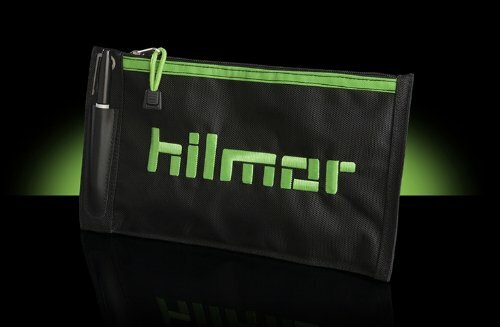 Click the button below to add the Hilmor ZP Zipper Pouch Rugged & Durable to your wish list. The hilmor Zipper Pouch is your best bet for keeping track of all the small stuff on the jobsite - from small tools and accessories to receipts and other paperwork. Plus, an external rivet means it can be clipped on where you need it and transported with ease. It even has a waterproof inner liner to protect the contents from water damage. The hilmor Zipper Pouch can conveniently fit many hilmor tools, including the Punch Swage Set or Dual Readout Thermometer with two thermocouple clamps. I bought this bag to keep all my electrical connectors in and I'm very happy with the rugged quality.